Nevada’s robust exclusive remedy statute prevents employees from suing employers for on the job injuries, except. . .
“Have you been injured?” is a common question posed by personal injury attorneys who are looking for new clients. But just because a person was injured in an accident does not mean that the injured person can prevail in a negligence suit against the person causing the harm. Take for example, a person injured on the job. Under Nevada law, if a person is injured in the course and scope of employment, the injured worker cannot succeed in a suit against a properly insured employer except under a very limited set of circumstances. That is because of Nevada’s exclusive remedy law. Nevada’s exclusive remedy provision is found in NRS 616A.020. That law says that the only remedy that the injured worker has against an employer that is insured for worker’ compensation is the worker’s compensation administrative remedy. A case in point is Cummings v. United Resort Hotels, Inc., 85 Nev. 23, 449 P.2d 245 (1969). In that case, the court dismissed the negligence suit brought by the family of a worker who was stabbed to death by an insane co-worker. The court dismissed the family’s suit against the employer and told them that worker’s compensation was their only recovery against the employer. Some states allow for an exception to the worker’s compensation exclusive remedy doctrine where the employee faces hazardous work conditions. However, Nevada does not recognize such an exception. For example, in Snow v. United States, 479 F. Supp. 936 (D. Nev. 1979), the court said that worker’s compensation benefits were the only remedy for injuries suffered at the Nevada Test Site. The only other exception to the exclusive remedy doctrine appears to be where the employer intentionally injures the employee. Barjesteh v. Faye’s Pub, 106 Nev. 120, 121, 787 P.2d 405, 405 (1990). In that case, the employee was allowed to sue the employer where the employer intentionally injured the employee by slamming her arm in a refrigerator door. This intentional acts exception can extend to the intentional acts of co-employees. Fanders v. Riverside Resort & Casino, Inc., 126 Nev. 543, 245 P.3d 1159 (2010). Conway v. Circus Circus Casinos, Inc., 116 Nev. 875, 877, 8 P.3d 837, 840 (2000). 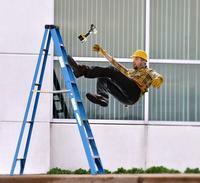 An exception to the exclusive remedy rule exists where the employer does not purchase worker’s compensation insurance. See NRS 616B.612(1) and 616B.636. The argument is that the employer who does not comply with the law should not benefit from its protection. Not only is the employee allowed to sue the uninsured employer, but the injured employee has many other benefits not available to a standard plaintiff that alleges negligence. For example, the injured worker can petition for a pre-judgment writ of attachment of the property of the employer. NRS 616B.636 (2). In the suit, the employer is precluded from asserting certain defenses such as assumption of the risk or the negligence of a third-party. Id. (3)(a-d). In addition, in such cases the court is to presume that the injury of the worker occurred because of the employer’s negligence and it is the employer’s burden to rebut that presumption. If you need additional information on this topic, please don’t hesitate to contact Michael C. Mills of Bauman, Loewe, Witt & Maxwell at 702-240-6060 x 114 or contact him by email at mmills@blwmlawfirm.com.